Our broad and balanced curriculum will give all children the chance to experiment, practice and compete in an enjoyable, stimulating and appropriately challenging environment. The range of activities, along with high quality teaching, seek to ensure that children enjoy success and are motivated to further develop their health and fitness. The children also complete the Daily Mile, which is a nationally recognised strategy to improve health and fitness. Daily exercise also has a positive effect on wellbeing and academic progress. All pupils have two hours a week dedicated to P.E. sports and activities which change every half term, to ensure our students are covering all aspects of the P.E. curriculum and to continue to engage, challenge and motivate our pupils. This will ensure they are continuously learning new skills and securing others. Some lessons are taught by our specialist P.E. teacher, and all teachers are equipped with schemes of work to support teaching and learning in P.E. each half term. This year, pupils in EYFS will develop their key physical skills, including: throwing and catching; running and jumping; agility; balance and co-ordination as well as key skills such as teamwork, and communication. In Key Stage 1, there is a focus on further developing pupils’ fundamental skills of throwing and catching, running and jumping, agility, balance and co-ordination in the form of multi-skills and team games. 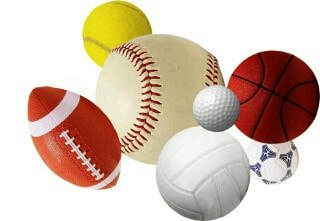 Sport specific activities include football, gymnastics, tag rugby, dance, athletics and cricket. Pupils become confident working with equipment, in pairs and in small groups, follow rules and play in a competitive environment whilst developing their communication and team work skills. East Tilbury Primary School has a House System; pupils are allocated to a specific House on entry. House points are awarded for all inter house competitions which take place throughout the Summer Term. Through taking part in these inter house competitions, we encourage the attributes of teamwork, equality, equity, and social responsibility which are our school’s core values. We also run a range of extra-curricular activities, in a non-competitive form. This includes before and after school clubs. Part of our Sport Premium Grant money is used to provide these clubs which are free to all of our pupils. There are several other clubs provided by external companies that do incur a cost and which parents can sign up for. Pupils also have the opportunity to represent the school and participate in the Thurrock School Sports Competitions. These are competitive and are played against primary schools in the borough (Multi-skills, Athletics, Football, Netball, Tag Rugby, Hockey, Tennis, Badminton, Cross Country, Tennis, Gymnastics, and Basketball are amongst some of the competitions we take part in).